Once the ceremonies connected with the first sightings of Matariki have concluded, the celebrations begin. Matariki is a time of rejoicing and celebrating, and a time to enjoy the company of friends and family. Dancing, singing, art and games are a key component of the Matariki festival. The whole class can learn the moves to this very cool dance, to the song Wairua by Maimoa. Mix it with your spoon and then your hands – kneading the dough until smooth. 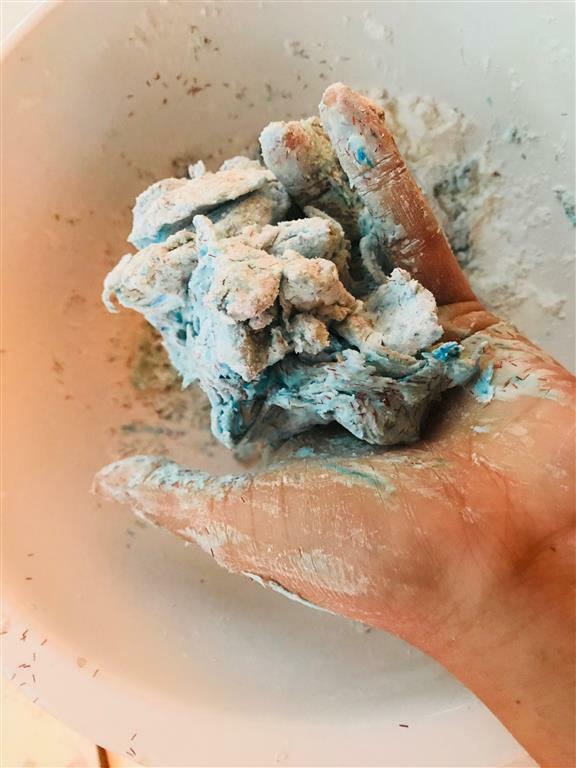 *This is a homemade putty, and your lotion might be a different consistency – If you find your putty too sticky add just a little more cornstarch. If you find your putty a bit too doughy add a small squirt of lotion. This putty should feel soft and smooth. Perfect for molding, stretching, squishing and playing. Keep the putty in an airtight container for long-term storage. You can't celebrate Matariki without whanau and kai. We really enjoy watching this video about the history of Māori Bread. It was made by the children at Hiruharama Primary School on the East Cape of New Zealand. Easy to make Maori Fry Bread with Shavon!